Carrie Longwood Stadheim grew up on a Hereford ranch south of Lemmon, South Dakota. After graduating from South Dakota State University with an agricultural journalism degree, she hired on with the South Dakota Stockgrowers Association as the Executive Director. 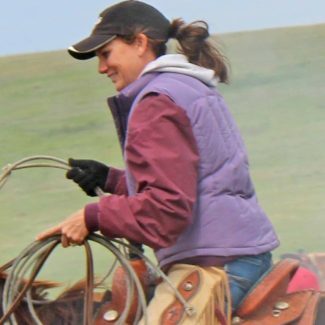 There she realized her passion for serving as a spokesman for independent ranchers to help protect them from unfair trade policies, anti-agriculture activists and government overreach. When she and her husband Jeremy started a family, she decided she needed to slow down and reluctantly gave up her position with the Stockgrwers. She freelanced for several years and then hired on part time with Tri-State Livestock News in 2012 and took the full time editor position in 2014.